The present regiment sprung from a body of mounted troops known as the Royal Volunteer Cavalry Regiment raised is Victoria in 1862. Troops numbering eight were distributed at various centres, those from Bacchus Marsh, Ballarat and Maryborough served through a unit styled the Prince of Wales Regiment of Light Horse (Hussars) during the years 1863-1874. On the formation of the Victorian Mounted Rifles in 1885 the troops from the foregoing places beloned to the 2nd Battalion of the V.M.R. 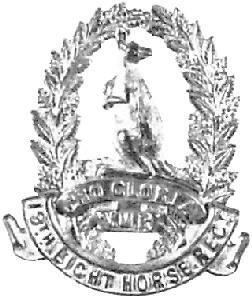 At the Federal re-organisation of 1903 the detachments of Victorian Mounted Rifles from Ballarat, Bacchus Marsh, Clunes, Talbot, Maryborough, Elmore and Wharparilla, together with the Rochester detachment of the Victorian Rangers were formed into the 9th Australian Light Horse Regiment (Victorian Mounted Rifles). As such the 9th continued until the re-organisation of 1912 a division was made in the regiment, part going to the 20th L.H. (q.v.) the parent part continuing on as the 19th Light Horse Regiment (V.M.R. ) In 1913 it became the 19th (Yarrowee) Light Horse and brought with it part of the then 29th Light Horse (Port Phillip Horse) in 1921. Below is a list of men who were known former members of the 9th/19th Australian Light Horse, who later served with the AIF during the Great War. The details listed are those at the time of AIF enlistment containing the rank, full name and unit in which he enlisted. 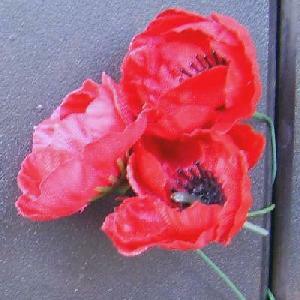 The Roll of Honour contains the names of all the men known to have served at one time with the 9th/19th Australian Light Horse and gave their lives in service of Australia, whether as part of the Australian Imperial Force or another unit during the Great War. 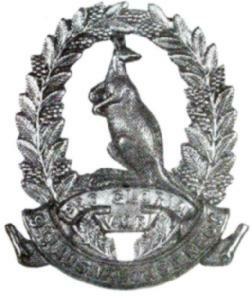 The Rochester, Echuca, Kerang, and Macorna Detachments of Victorian Rangers, together with the Ballarat, Bacchus Marsh, Clunes, Talbot, Maryborough, Elmore, Wharparilla, Kerang, Durham Ox, and Pyramid Hill Detachments of Victorian Mounted Rifles, to be formed into the 9th Australian Light Horse Regiment (Victorian Mounted Rifles). Honorary Lieutenant WH Wallis, 1 March 1904. Second Lieutenant CA Courtney, 1 March 1904. Second Lieutenant AH White, 1 March 1904. Second Lieutenant J Halliday, 1 March 1904. Second Lieutenant D Baird, 1 March 1904. Second Lieutenant RG Colee, 1 March 1904.